Cycling is exploding in popularity right now and more and more people are looking to join the many clubs around Waterford, but which one is right for you? 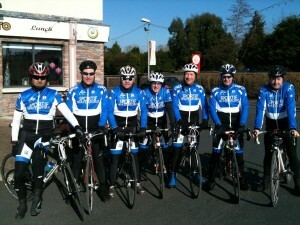 Our club, Sportif Waterford CC was set up in 2009 as a leisure cycling club made up of like minded people who enjoy the challenge of sportif cycling. We don’t have a racing section and aim to keep the club leisure orientated and have a busy social scene also with many events spread throughout the year. We currently have around 90 members and meet up every Saturday and Sunday at the car park in Woodies for our weekend spins (Start times depend on specific groups – please check with Club Secretary for up to date times.). As the brighter evenings kick in during the summer months many of our members also try to get out on both Tuesday and Thursday evenings. We are currently splitting our long Saturday spins into four groups; Group 1, Group 2 and Group 3 & 4. Below is a general idea of distances and speeds that the three existing groups. Group One: Most members of this group would be experienced cyclists many of whom would cycle all year round and represent the club in all the big sportifs around the country. The Saturday spins depending on weather, route etc would be in the region of 100-140km with an average speed of around 30kph and higher. Group 2’s: This group would traditionally be where some new members start off cycling with the club but as mentioned it’s still a very experienced group of cyclists so a good level of fitness is required. The Saturday spins depending on weather, route etc would be around 100km with an average speed of 25-28kph. Group 4: Group 3 & 4 would generally be our beginner groups with Group 3 averaging around 23-25kph but still with nice long spins included of up to 100km and Group 4 around 20-22kph with generally spins of around 40-50km. 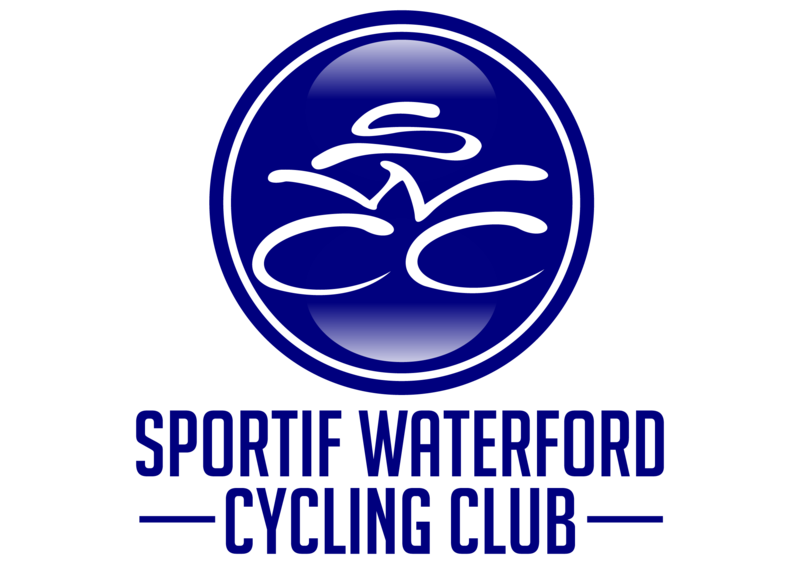 Any potential new members who are thinking of joining, feel free to contact us on sportifwaterfordcc@gmail.com for more info. Note: Bike Requirements: As all our current members all cycle on Road Bikes (Racing Bikes) we are keen on any new members to have a Road Bike rather than a Hybrid or Mountain Bike, this is generally for safety reasons in the group cycle’s. Thinking of joining?If you think that Sportif Waterford Cycling Club is for you then feel free to contact us via our contact page from the main menu or pop down to Sunday Group 3 or 4 spin at 09.30am and join in. Generally we ask prospective members to try the Sunday spin for a few weeks and if you think our club is for you to then join up for a fee of only €25 and are welcome then to join in on our other full Saturday spins. Full members have access to the site forum where all spins are discussed beforehand and upcoming sportive spins and social events are advertised, as well as the usual post spin banter. Also bear in mind that as it is a leisure club all our groups do stop for a sociable coffee and quick bite to eat on every long spin and no one ever gets left behind.